Created collaboratively with singer, musician and composer Ana Silvera, ice&fire’s Artistic Director Christine Bacon and musicians Alice Zawadski and Will Roberts, Write to Life, the creative writing group at Freedom from Torture, presented a musical journey from Africa, Iran and Cuba to London 2016. Click here to read an interview with videographer and Write to Life coordinator, Sheila Hayman. With an original combination of speech, song and recorded sound and a cast of six torture survivors from Iran, Cuba, Uganda, Burundi and Ethiopia, supported by a chorus of other clients and staff of Freedom from Torture. Exploring the themes of love, unexpected friendship, prison, laughter, and above all, music – from the violin buried by order of the Ayatollahs, to the African song unwittingly sung to the occupants of a British Library reading room. Videos of the preparation, individual stories and audio recordings are all available on Freedom From Torture’s Lost & Found page. The audio has been professionally recorded to produce a full binaural experience. 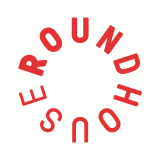 Lost and Found was presented to a sell-out audience at The Roundhouse, Camden on September 2nd 2016.